[Franklin]. Fully automated scoring and Glow Bowling. Features affiliated membership information, tournament calendar, scoring and pricing. Contains a detailed list of all candlepin tournaments within the Eastern and Western Maine Candlepin Bowling Association. This informative website also contains a listing of all candlepin bowling centers in Eastern and Western Maine, and many pictures of the equipment used in candlepin bowling. Information concerning the game of candlepin bowling, official rules, history, records, and locations. Basic information on candlepin bowling, equipment used, and current record scores. Personal website dedicated to the sport of candlepin bowling with emphasis on New Brunswick and Nova Scotia leagues. Site includes links, polls, and general information. Results from the World Candlepin Bowlers Congress (WCBC) pro candlepin bowling events. This page is not affiliated with the WCBC, but provided as a public service. Pro interviews, stories, news in the candlepin community, behind the scenes with WNDS CH 50 bowling. [Manchester]. Offering candlepin bowling, glow bowling, and games room. View website for directions and league information. List of candlepin bowling centers throughout United States and Canada. Also provides an updated list of lanes, directions, and website links. [Saco]. A 32 candlepin bowling lane center featuring automatic scoring. Special events, league and public bowling, game room, and fundraising. [Gloucester]. Offering 20 candlepin bowling lanes, snack area, and video games. Browse their website to view links, house records, and a detailed guide on how to bowl candlepin. [Abington]. Offers candlepin bowling to the South Shore and features information on leagues, cosmic bowling, and party packages. [North Sydney, Nova Scotia]. Offers 16 candlepin bowling lanes, league statistics, tournament calendar and contact details. Promotes and coordinates the recreation of candlepin bowling. Features news, events, links, graphics, the sports history, and contact details for local centers. [Erving]. Offers a 24-lane candlepin bowling center and features special events, including Neon bowling. [Portsmouth]. This 28-lane candlepin bowling center features site contains information about the family fun center, parties, leagues, cosmic bowling, lane availability, bumper lanes and driving directions. 16 Needham Bowlaway Candlepin bowling. Candlepin bowling. Directions and league information. Candlepin bowling center. Includes league information and specials. [Weirs]. A 20-lane center offering 10 lanes of candlepin and 10 lanes of tenpin. Includes rates and league schedule. [Oconomowoc]. A 24-lane bowling center with open and league bowling, cocktails, food specials, Friday night fish fry, bumper bowling, birthday parties, and hall rental. Offers bowling centers many supplies such bowling balls, shoes, accessories, trophies, and medals. Mens lawn bowling clubs in eastern Victoria. Includes extensive links for bowling in the area. Describes bowling alley which hosts many leagues, childrens parties and Saturday night Cosmic Bowling. [Concord]. Contains information on league and public bowling, Glow Bowling, birthday parties, and Bowl-a-thons. Also provides driving directions. A bowling centre in Surrey, BC. Includes a history of bowling in British Columbia along with league results, membership information, special events and top scores. Includes the history of bowling, a online museum gift shop, and various links about the sport of bowling. Located in St. Louis, Missouri. Comet lanes bowling center, league party and tournament info. Prices. Cosmic bowling, how to find us. How to contact us. Opening Hours. Supporting the sport of tenpin bowling throughout Europe, including the Russian Federation. Help to develop new business ideas for a better use of member centers, and a worldwide network for Bowling Proprietors. Family bowling center featuring 16-lane fully-synthetic center with a pro shop, snack bar and arcade. Also, includes details on its glow bowling, bumper bowling, and private parties. [Peterborough]. Browse Bowling Acres party packages, cosmic bowling, and league information. Also, find information on rates and lane availability. If the business hours of Ficcos Bowl-A-Drome in may vary on holidays like Valentine’s Day, Washington’s Birthday, St. Patrick’s Day, Easter, Easter eve and Mother’s day. We display standard opening hours and price ranges in our profile site. We recommend to check out ficcosbowl.com/ for further information. 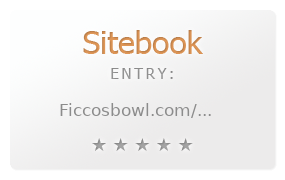 You can also search for Alternatives for ficcosbowl.com/ on our Review Site Sitebook.org All trademarks are the property of their respective owners. If we should delete this entry, please send us a short E-Mail.